Did you ever wonder what all the settings do in the tuning menu? Well you can put the confusion to rest! We have a new, free class introducing the basics of tuning in Forza Motorsport and Horizon. This will be taught by Dave Lacey, a great guy and creator of the Fast and Clean Racing Group. Like all quality classes, this one has been months in the making but you can sign up here to get an email when it’s open. 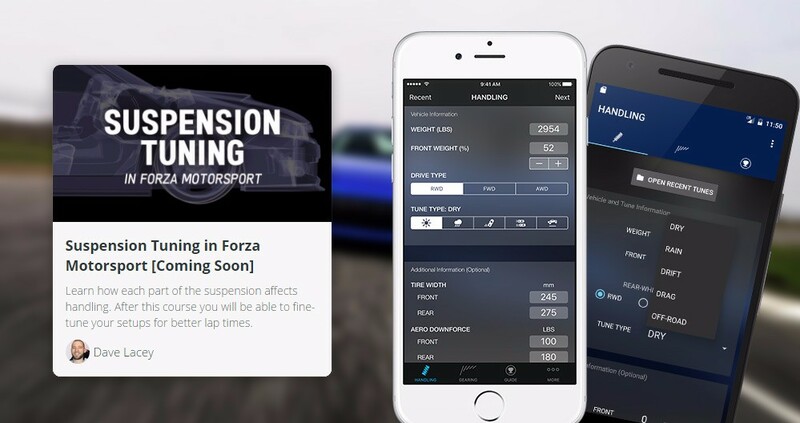 Speaking of tuning in Forza, we just updated the ForzaTune 6 app to include drag racing, off-road tuning for Horizon 3 and gearing improvements. You can get the details on my post at the official ForzaTune blog. As always, I would like to thank all of the students that have been signing up lately. It’s great to have you here at Gallium Racing School! 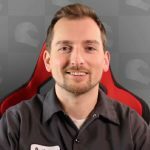 Anthony is the founder of Gallium Racing School and loves using his engineering and automotive background to help others learn. He is also the developer behind ForzaTune. Do You Know the Best Ways to Lower Your Lap Times? Sign up below and I'll email you the 3 most common racing mistakes - and how to avoid them. Become the racer you always wanted to be.